Burnes of Boston N15788ST - Easel back allows convenient display on your desktop or wall. Included certificate of excellence is ready to use. A beautiful brushed silver metal mat surrounds your display for a sleek presentation. The easel back allows you to display the frame on your desktop or wall. Beautiful brushed silver metal mat surrounds display for sleek presentation. 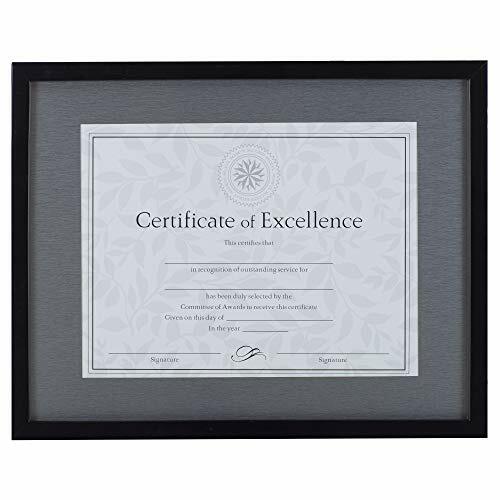 This fashionable wood frame elegantly highlights your awards, certificates or photos. Fashionable design elegantly highlights your awards, certificates or photos.